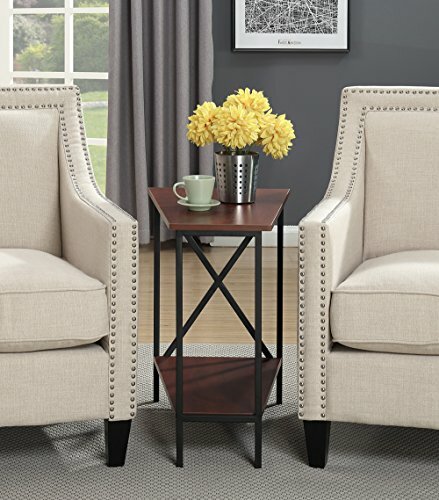 Give your space a makeover with the Tucson wedge end table. This piece allows you to create Usable space between two chairs with its unique wedge shape. Featuring a Bottom shelf for additional storage paired with open concept styling this piece is practical and stylish. 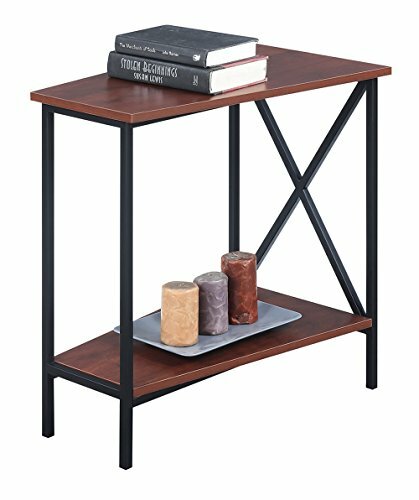 Constructed with a powder coated metal frame the Tucson wedge end table will provide the durability and stability you need. Available in multiple finishes this contemporary end table will easily complement any new or existing decor. Look for other items from the Tucson collection available sold separately. 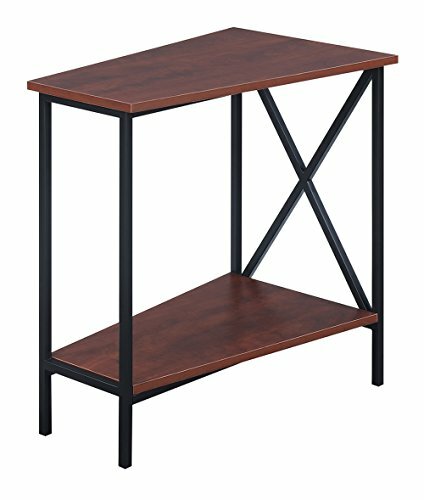 If you have any questions about this product by Convenience Concepts Tucson Wedge End Table, Black / Cherry, contact us by completing and submitting the form below. If you are looking for a specif part number, please include it with your message.